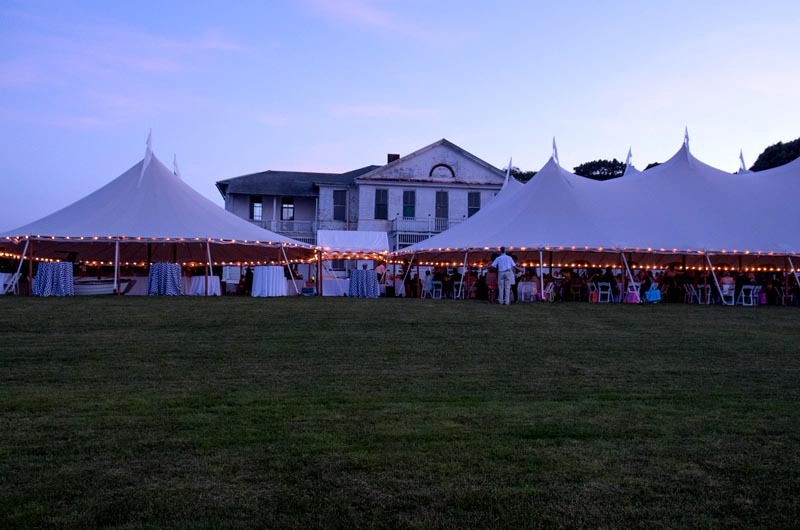 Evening of Discovery held on the hilltop site of the old marine hospital in Vineyard Haven. A $24 million project to build a new Martha’s Vineyard Museum in Vineyard Haven is on track to reach a major fundraising milestone by the end of the year. 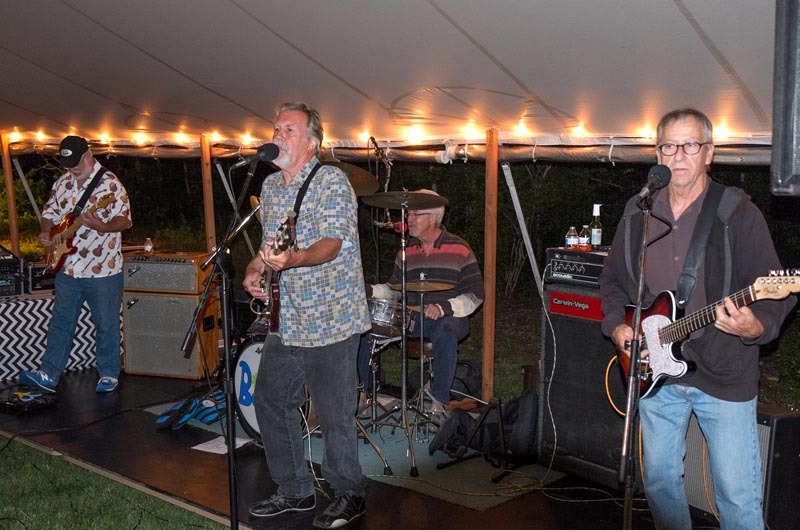 This was the good news at the museum’s annual Evening of Discovery, the principal annual fundraiser held on Saturday night at the hilltop site of the old marine hospital. The site is now owned by the museum, which has plans to relocate there. 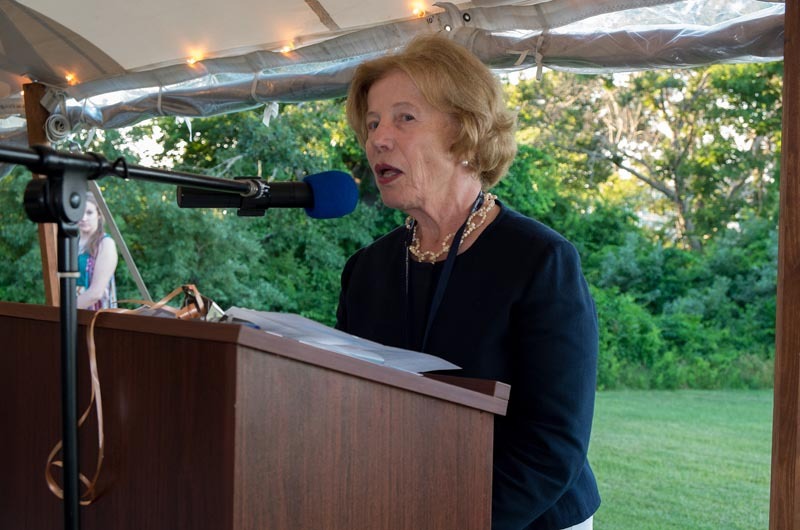 On Saturday board chairman Elizabeth Beim told the crowd of 360 people that the museum is on track to raise 70 per cent of the amount needed from private fundraising for the project by the end of the year. As a result, she said the museum plans to move into the public phase of its capital campaign in 2015, begin construction in 2016 and open the following year. The sold-out gala was a themed party that took a trip back to the 1960s in both dress code and food. There were pigs in blankets, Swedish meatballs, fondue, and plenty of polyester and chiffon. Even Elvis made an appearance. 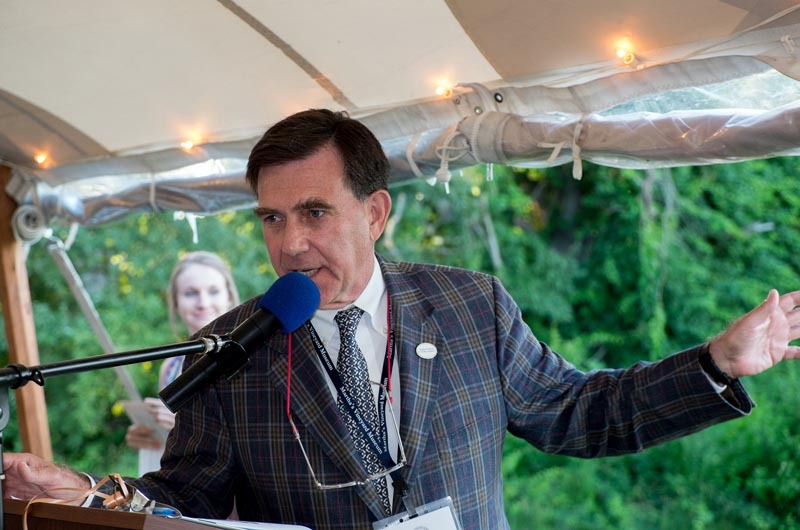 The theme of the party was inspired by the museum’s exhibit that opened recently titled Sea Change: Martha’s Vineyard in the 1960s, with work by oral historian Linsey Lee. People dressed for the era, with women in bright polyester dresses and geometric tops with white boots and bandanas to match, vintage floral 1960s chiffon dresses and summer wear by Lily Pulitzer. Some men wore tie-dye T-shirts and jeans, while others sported traditional Edgartown reds and navy blazers. Guests sipped on glasses of Vineyard grog, a drink originally served at the Moon Cusser coffee house, a popular Oak Bluffs music spot in the 1960s. Dinner included Julia Child’s chicken fricassee, steak tips and potato gratin. The evening concluded with dancing to the Bodes, an Island band that plays 1960s covers. Mrs. Beim also announced the formation of the Sheldon Hackney Fellowship Fund, named after the former museum board chairman who died last year. The $250,000 matching fund will go toward supporting a competitive summer internship program for college students, Mrs. Beim said. Friends and family of Mr. Hackney donated the initial funds. A silent auction preceded the event and items up for bid included an 1890s Nathaniel L. Stebbins photograph, a Ray Ellis print, the chance to create your own ice cream flavor at Ben and Bill’s and a single sail, two-person wooden boat built by Gannon and Benjamin Marine Railway. Museum executive director David Nathans told the Gazette Monday that money raised at the event was still being tallied, but he expected it would exceed last year’s total of about $75,000. “It’s ahead of expectation,” he said. As for the big fundraising picture, Mr. Nathans said the museum currently has cash and pledges in hand of about $7.5 million, which represents 35 per cent of the $21 million the museum plans to raise from private funds. The goal is to raise another $7.5 million in cash and pledges by the end of the year, he said. “When you get about 70 per cent, that’s when you know what your end game is,” he said. About $3 million of the $24 million needed is expected to come from the sale of part of the museum’s Edgartown campus, Mr. Nathans said. as charlie told me so many times, qouting little richard," god gave it to me, and i gave it to the BODES"!! !